It’s time to put on your Irish hat and dress in green! St. Patrick’s Day is here. This highly anticipated holiday in Jackson, MS, features celebrations and activities you do not want to miss. One event you have to attend is the iconic Hal’s St. Paddy’s Day Parade! Get ready to laugh, dance, and drink delicious beers over the course of one fabulous weekend. So, what are you waiting for? Plan your trip today and have a “craic” celebrating St. Patrick’s Day! 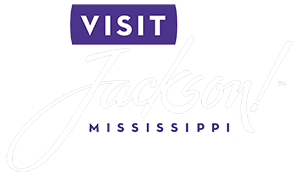 Be sure to take this opportunity to explore Jackson with the help of our free Vacation Guide. It offers recommendations for local restaurants, shops, museums, outdoor activities, and more! This iconic St. Patrick’s Day parade has been a staple in Jackson for more than 40 years. It started with a group of friends dressing up and walking the streets of Jackson for fun. Over the years, it’s grown into a massive event, drawing thousands of visitors! Today, the parade is the largest and most exciting event of the year. Hal and Mal’s is the birthplace of the St. Paddy’s Parade. This popular Jackson spot is well-known for its delicious food and live music, and since they started the St. Patrick’s Day tradition, they open the parade every year. Get ready for dancing, singing, jumping, and a string of colorful floats! The parade isn’t the only thing that takes place in Jackson on St. Patrick’s Day! Discover an array of fun events like the Kid and Pet Parade on Lamar street. Or, challenge yourself to the 5K run! Don’t let your stomach start to growl on St. Patrick’s Day. Head over to Martin’s Restaurant and Bar in front of the distillery for a bite to eat! They offer a wide selection of craft beers and delicious burgers. To stay in the Irish spirit, check out Fenian’s Pub. This hotspot brings authentic Irish luck to the festivities and provides Celtic-inspired food and drinks that you won’t want to miss! 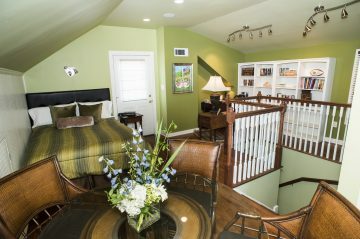 Book Our Simon’s Loft For Your St. Patrick’s Day Getaway! St. Patrick’s Day in Jackson, MS, is a must-see. If you’ve attended before, you know it’s fun; if it’s your first time, you’ll want to come back year after year! Be sure to stay with us for the biggest parade of the year. Fairview Inn is one of the best boutique hotels in Jackson and offers a relaxing atmosphere you need after celebrating all day. Our luxurious accommodations for resting post-party. Have a serene, peaceful night in our Simon’s Loft and enjoy the privacy of your own little house! The green walls keep the spirit of St. Patrick alive. You can unwind in a hot bath, relax on the plush sofa with a fresh beer in hand, and get a great night’s sleep in the plush, queen bed. This room also comes with a full, Southern, a la carte breakfast, free parking, luxurious robes, and cable TV.